Lester’s was founded by Max Lester, a European who came to settle in Canada in 1925. He opened his own delicatessen in the area of Montreal six years later. Lester capitalized on his family’s secret recipe for smoked meat and promoted his deli shop to local residents. Soon, Lester’s deli shop became known for its smoked-meat sandwiches, which quickly became a favorite among residents of Montreal. As the shop’s products became more and more popular, Lester started adding new products to offer customers who frequented the shop. Lester’s also started catering to grocery stores and restaurants as the business grew. Soon, Lesters’ deli became a family-operated business operating everyday of the week. The family had a vision of being able to supply every grocery store and restaurant in Canada with a wide range of their deli products. In 1964, the family’s dream slowly became a reality as work was started on Lester’s new 15,000 square foot processing facility. When the facility was completed and operational, it was such a huge success that it could barely keep up with the large demand for products like hot dogs, smoked meat, salami and other delicatessen meats. In 1971, the business moved into a new headquarters in Laval, Quebec. Because the processing facility rapidly outgrew its capability, the company again had to undergo major expansion of its facilities. Today, Lester’s processing facility has an area of 140,000 square feet and is considered one of Canada’s largest meat processing companies. Third generation members of the Lester family (Bonnie Lester and Henry Mizrahi) are currently managing the business. Lester’s continues to invest in innovations in process and technology that can improve the quality of its products. Its processing plants are continually upgraded and outfitted with equipment that is considered “state of the art.” The new technologies that are implemented to the process help ensure that the products undergo the strictest protections and standards. 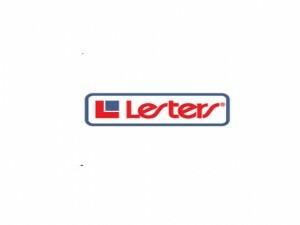 As a result, Lester’s products are always of an excellent quality. Today, Lester’s is still considered a leader when it comes to deli products, as well as giving excellent customer service. As a way of showing its commitment to the environment as well as food safety, the company’s processing facility is HACCP-certified and accredited. Lester’s has a team of dedicated researchers and specialists that continuously work for the betterment of the product and the company as a whole.